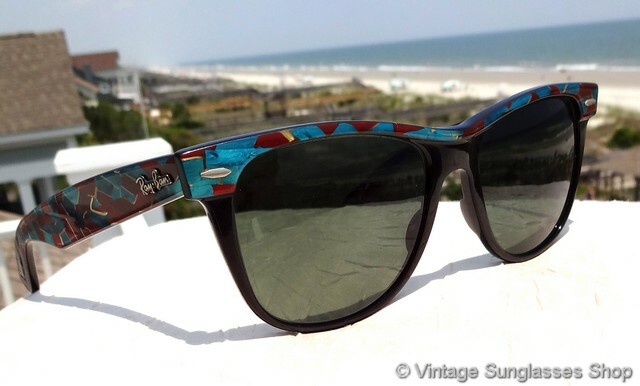 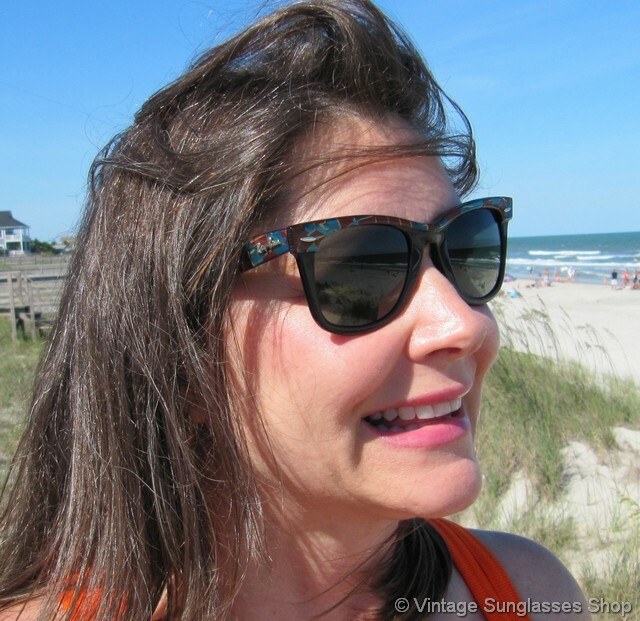 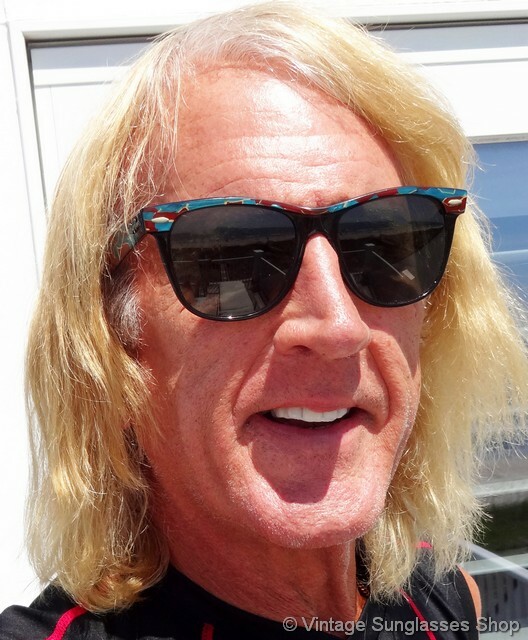 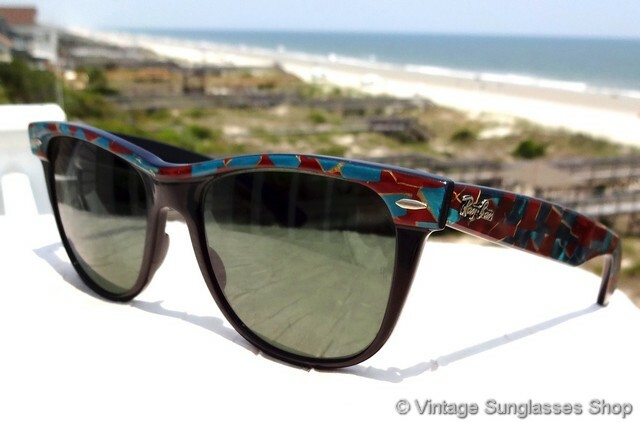 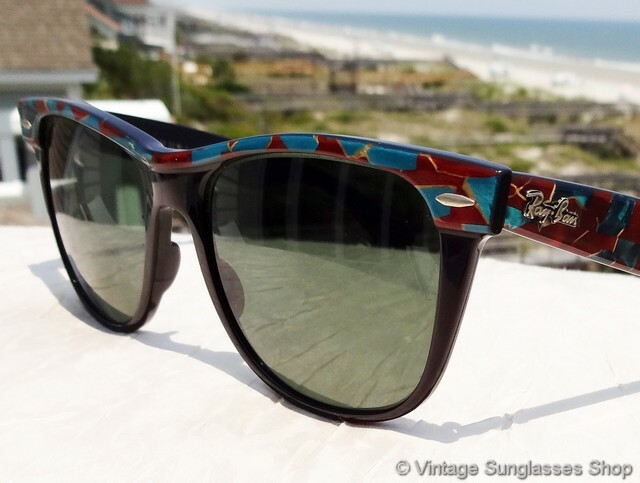 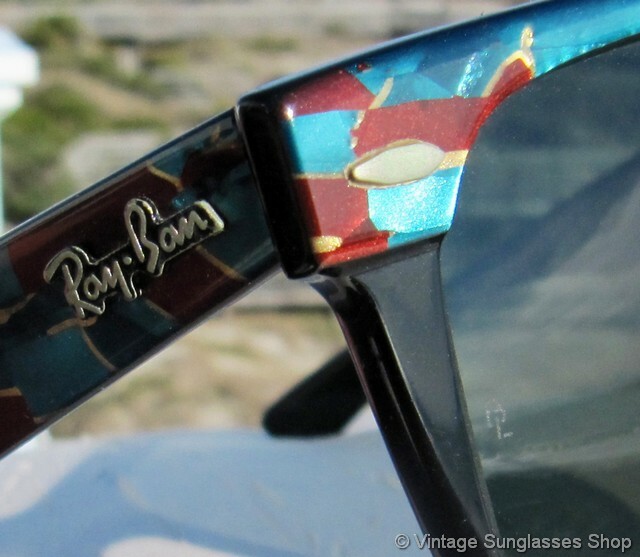 Vintage Ray-Ban W1092 Wayfarer II Street Neat sunglasses combine the size and shape of the traditional Ray-Ban Wayfarer II with the colorful and elaborate top accent and ear stems of the iconic Wayfarer Street Neat line. 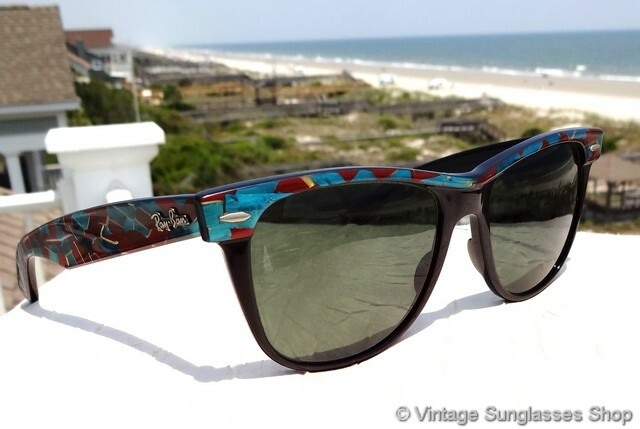 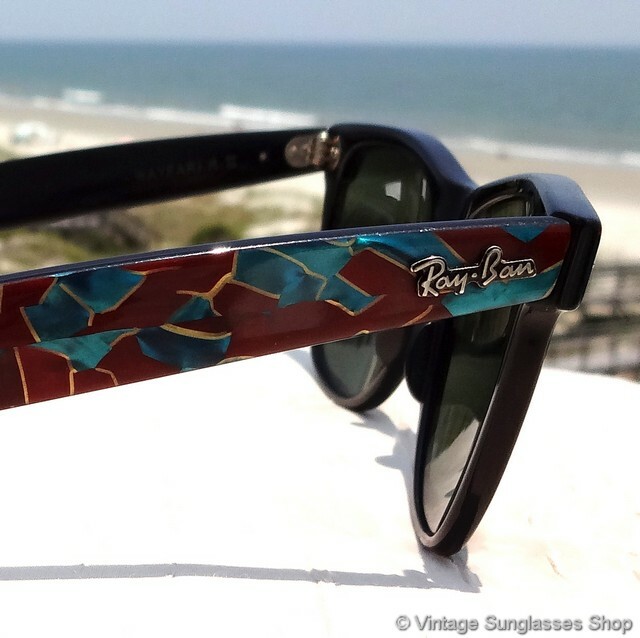 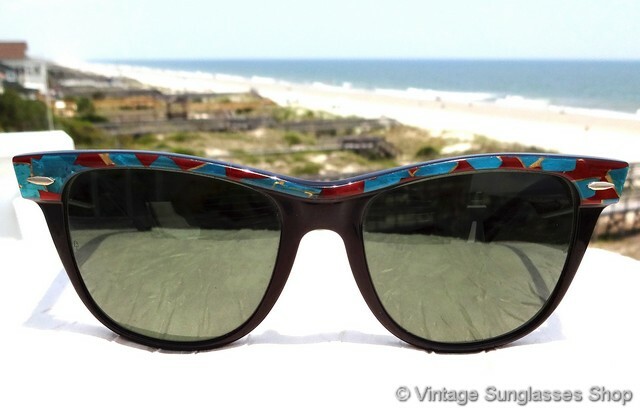 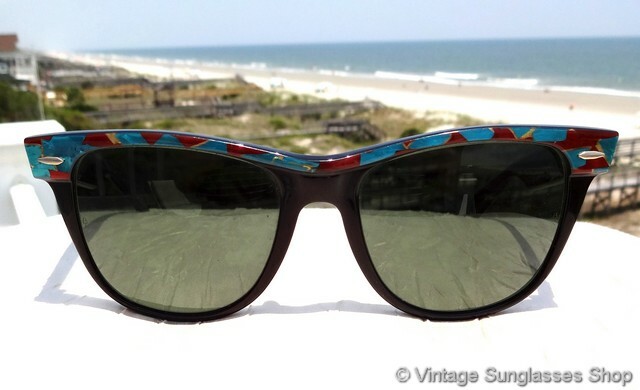 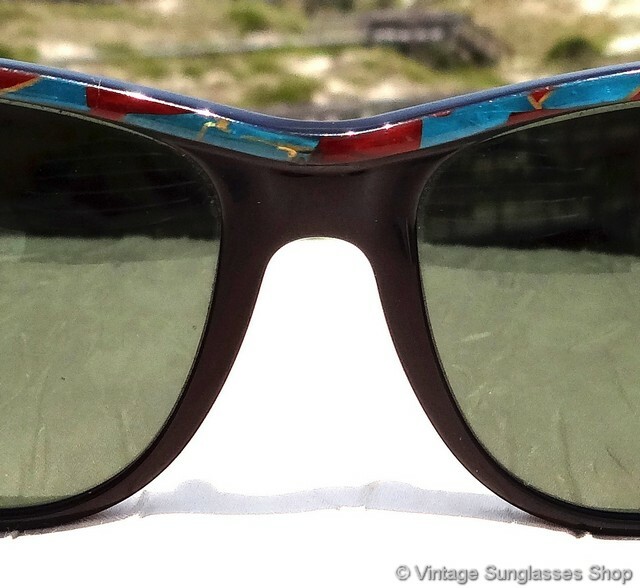 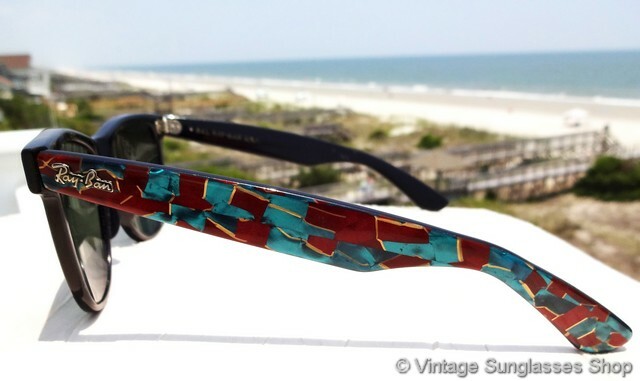 This color has always been one of the most popular, an intricate mosaic of turquoise and maroon with gold highlights that looks terrific with the black ebony of the lower frame. 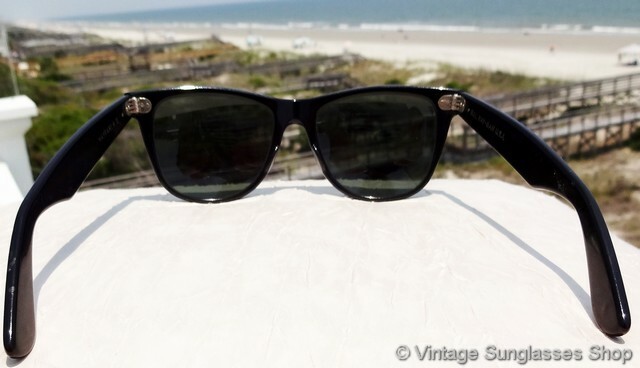 The unisex Ray-Ban W1092 Wayfarer II frame measures approximately 5.5" temple to temple, and the B&L G-15 mineral glass lenses measure approximately 2.0" x 1.75" at the widest points with both lenses laser etched BL near the hinges. 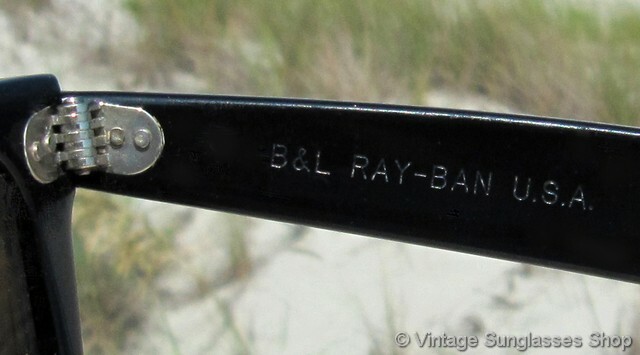 You'll find the Ray-Ban logo in raised metal relief on the exterior of both ear stems, and the inside of one stem is impressed B&L Ray-Ban USA while the inside of the other stem is impressed Wayfarer II.